ABC Fire Equipment offers a full range of products and services throughout North Port, Florida. If you are located in North Port, and in need of anything from fire equipment to fire system services, look no further than ABC Fire Equipment. Our highly educated and friendly staff will make it easy for you to get your fire needs addressed. We are always here to help, and have been leaders in the industry for over 30 years. 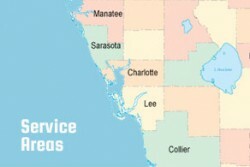 Our services and products are unmatched in North Port, Florida.